It’s been a while since I last wrote so I thought I’d bring you up to speed with the last couple of weeks. Most importantly the beer that I helped to brew at the Kinnegar brewing academy only went and won a gold medal at the Alltech festival in Dublin. Rick thought it was very good during conditioning etc. But I never thought it would win a medal let alone a gold! Still can’t quite believe it to be honest. Me and the wife really enjoyed the festival, there was an amazing range of beers from Ireland and further afield. The food is also worthy of mention, some of the best I have had at a beer festival. 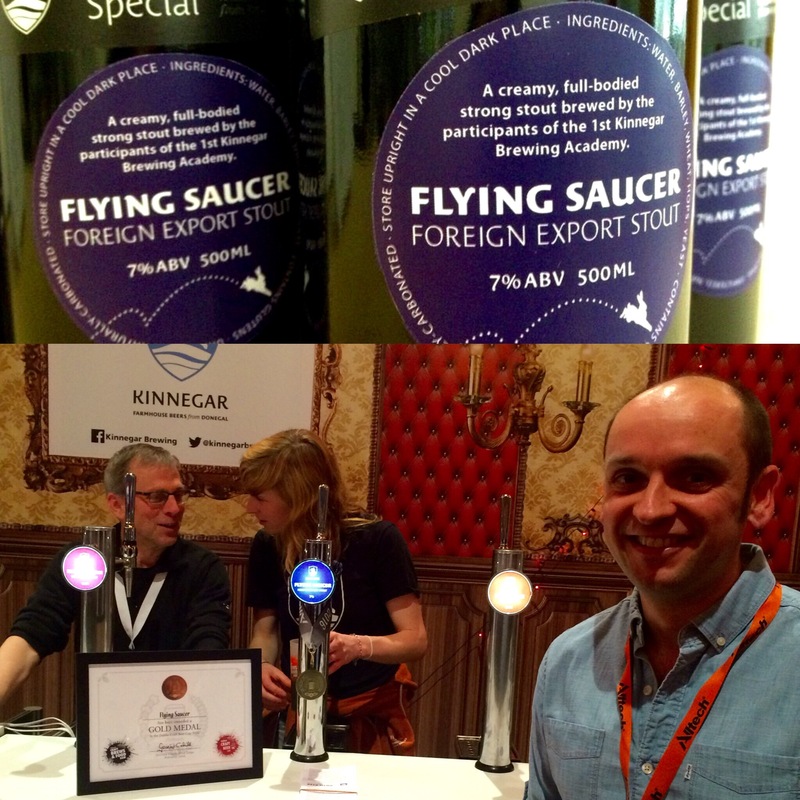 Beers of note for us were, 8Degrees – Double Irish, White Gypsy – Pale Ale, White Hag – Black Boar barrel aged, Buxton -Ice Cream Pale Ale and obviously the Kinnegar – Flying saucer. Really great festival and looking forward to the next.